Recovering from alcohol, nicotine, drug and relationship addictions is not linear. All aspects of a person are affected by addiction. Your program at Serenity Vista addresses body, mind and spirit for a holistic and well-balanced recovery. A big part of our holistic program is yoga. The practice of yoga incorporates the physical, mental, emotional and spiritual. This combines an integration of breathing, movement, challenge, and perseverance. Every Tuesday we go to the magnificent Haven Spa and practice the YOGA of RECOVERY with Michael. 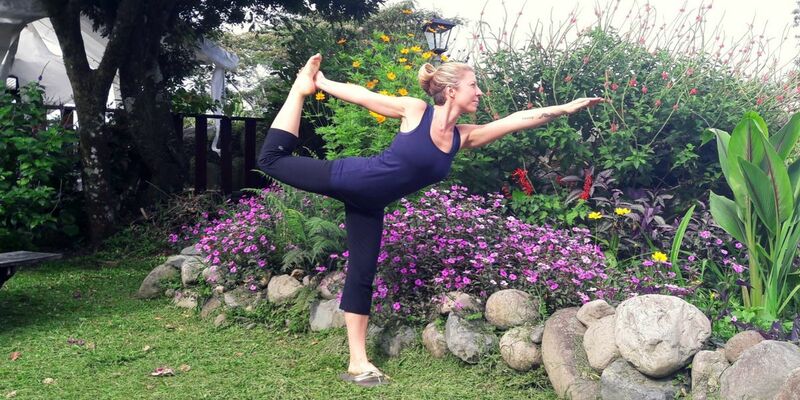 The yoga space opens out into a lush tropical garden. The garden is filled with colorful birds, jungle flowers and vines. Occasionally we see a sloth doing its own yoga pose! A small stream dances and sparkles by. Saturday afternoons, Joy Alexander brings Ashtanga Yoga and Yoga Nidra meditation to the guests at Serenity Vista. Joy is an intuitive and compassionate practitioner. Due to Joy’s special interpersonal skills, she understands the special needs of people new to recovery, and perhaps new to yoga. Therefore Yoga becomes a highlight for all of our guests. It is a time to reconnect with the body, rejuvenate tired muscles, and surprise yourself over the weeks with your progress. Because often people can be nervous to try yoga for the first time, our practitioners are extra gentle. However, this nervousness quickly changes to an appreciation. Learn about the ancient wisdom of yoga practice which dates back to 400 CE. I honor the place within you in which the entire universe dwells. I honor the place within you, which is of Love, of Truth, of Light and of Peace. When you are in that place within you and I am in that place within me, WE ARE ONE.